A Normal Lost Phone is one of the shortest experiences that you can discover on the Nintendo eShop for Nintendo Switch, but the story that it has to tell is easily one of the most impactful. You have discovered someone’s phone, and, in wanting to safely return it to its rightful owner like any honest human being, you must search through text messages, emails, photos, and apps to figure out who has lost it. It can feel invasive at first, seeing as you know straight away that the fake interface that you are tapping away at isn’t your phone. With a notification immediately prompting you to read four new messages from your Dad, you soon start to look past those privacy concerns as you try to work out what has happened. With their Dad pleading for them to make contact, it becomes clear that the phone belongs to Sam who has suddenly disappeared after celebrating turning 18 with his family. In any normal circumstance, you’d hope that a good samaritan would hand the phone over to the police at this point, but curiosity soon gets the better of you this time around. With conversations to read and link together and passwords to work out from the hints that have inadvertently been left behind, you can either explore A Normal Lost Phone in a landscape view or you can play it with a portrait orientation, which, understandably, can only be used in Handheld Mode. That’s as slightly unwieldy as it sounds, but, regardless of which you come to prefer, you can choose to use button or touchscreen input to scroll down text messages and navigate between the different in-game apps. You will start to pore over Sam’s interactions with his school friends, ex-girlfriend Melissa, best friend Alice, and Uncle Raymond, whose clear lack of technical knowledge sees him write every message in capital letters. Then, as you continue to sleuth your way through this narrative puzzler, you’ll work out the Wi-Fi password that’s needed to read his emails, and, later, how to access his accounts on the dating app, Lovbirds. These puzzles that you are faced with won’t hurt your brain that much, but will require a methodical approach as you scrutinise every detail that you must read. 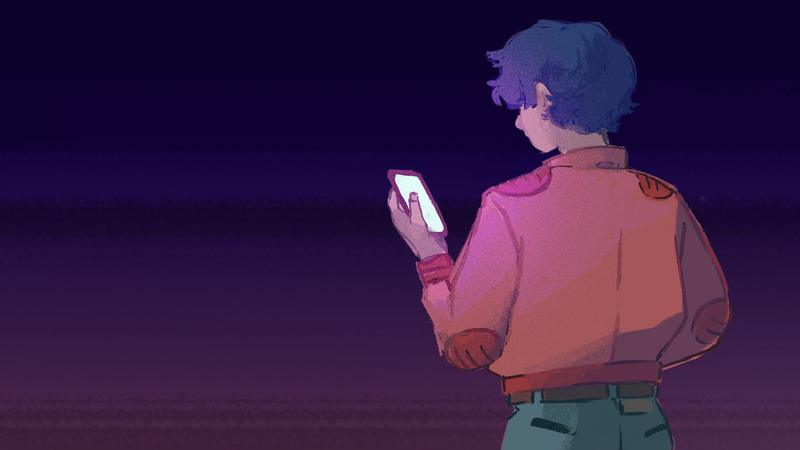 To say any more would ruin the important lesson in empathy that French developer Accidental Queens has looked to impart in A Normal Lost Phone, as well as the self-reflection that will come when confronted with the difficult topics that it welcomingly explores. You should know that your thought process on what you believe has happened to Sam at the start will be challenged throughout the game’s sub-hour duration, but it’s the £5.49 ($5.99) price point that will be a bitter pill to swallow. That’s not as simple as judging the fact that it’s twice the cost compared to mobile nor that there is little reason to return once you have completed it for the first time. But more a concern that, aside from the narrative direction, there isn’t really enough that the player is asked to do in that playtime. I was surprised when the credits started rolling, in that I felt like there was a little more story left to tell. I don’t mean to downplay the message that A Normal Lost Phone carries, and I can’t understate how important it is that this game exists and the awareness that it will raise. But, it also shows that there is a continued need to experiment with how we explore the power of storytelling in video games, with room for improvement in whatever the developer has planned next.